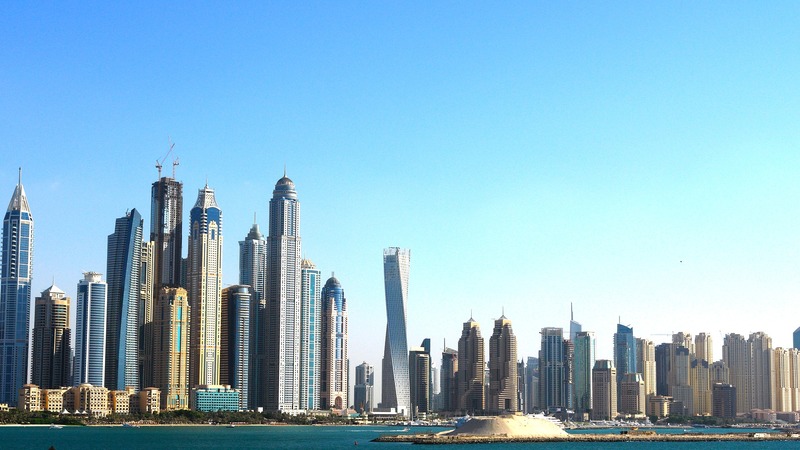 Downward rental adjustments continue to take place in the Dubai market, says a Q2 2018 report released by property company Chestertons on Monday. This is due to several factors: additional stock being delivered, thus providing more choices, some tenants purchasing their own properties and conservative market sentiment. Average apartment rents are down 4 per cent from the last quarter and average villa rents are down 2 per cent, said the report. Previously the declines were most prominently felt in larger units. However, this quarter, it appears all unit types are susceptible to falling prices. Studio rents dropped by an average of 5 per cent and one-bedroom units by 4 per cent. The greatest decline in apartment rents was Dubai Sports City, dropping 7 per cent with a one-bedroom unit available for Dh57,000 per annum. This was closely followed by Motor City and Jumeirah Lakes Towers where declines of 6 per cent were witnessed, with the cost of renting a one-bedroom apartment is at Dh71,000 and Dh77,000 respectively. “There was a lot of additional stock being delivered in this [affordable] market segment which posed an additional pressure on communities comprising similar stock. The additional supply does not necessarily have to be delivered in those affected areas as the communities within the similar market range are competing for the same demand sources,” said Ivana Gazivoda Vucinic, head of consulting and valuations and advisory operations, Chestertons Mena. Villa rents saw the highest decline in The Springs and Victory Heights at 4 per cent, followed by Al Furjan and Jumeirah Village Triangle at 2 per cent. The Meadows, Jumeirah Islands and Jumeirah Golf Estate all decreased by 1 per cent, while Arabian Ranches was the only community to increase in price, by 1 per cent, according to Chestertons data. “Buyers’ interest is moving from a bit dated stock in Springs towards newer stock Reem and Mira being developed by the same developer. This, coupled with the new Nshama master development is creating a new destination in Dubai with higher-quality villa stock which is influencing the demand decrease in other areas such as Victory Heights et al,” Vucinic told Khaleej Times. Chestertons estimated that a two-bedroom villa in Arabian Ranches is priced at Dh133,000; in The Springs, the price is Dh115,000; in The Lakes, the cost is Dh163,000; and in JVT, the cost per annum is Dh140,000. Sales prices for Dubai apartments fell by 1 per cent in Q2 compared to the last quarter and average villa sales prices remained flat during the same period, said Chestertons. The continued decrease in apartment prices over the last few years has made the bigger units more affordable, hence there has been a lower number of transactions but a higher value of transactions. “Affordability has been one of the top trends so far this year. What we’re witnessing, especially with the large amount of supply entering the market, is that developers are focusing on the investment-active, mid-market segment through a range of flexible payment options and smaller units to keep prices attractive, piquing the interest of would-be investors,” added Vucinic. From an apartment sales perspective, Business Bay rebounded well after recording a 9 per cent decline in Q1 2018, the steepest in Dubai during that period, notching a 4 per cent increase to Dh1,226 per sqft. This figure, however, was still below the Q2 2017 price of Dh1,268 per sqft. Prices picked up owing to the community’s good location and because investors are seeking alternatives to the higher priced Downtown and DIFC areas. Jumeirah Village Circle was another standout performer this quarter, increasing 6 per cent to Dh871 per sqft after having bared the brunt of an 8 per cent decrease in Q1. Motor City was the only other area which saw growth, increasing by 2 per cent to Dh822 per sqft. International City saw the steepest decline at 7 per cent, with prices dropping to Dh589 per sqft, while The Greens fell for the fourth quarter in a row by 2 per cent to Dh1,077 per sqft. In the villa sales market, the Palm Jumeirah was the only area which saw an increase, with prices up 4 per cent to Dh2,298 per sqft. Arabian Ranches, Jumeirah Park and The Lakes all witnessed softening of 2 per cent, 3 per cent and 1 per cent respectively.